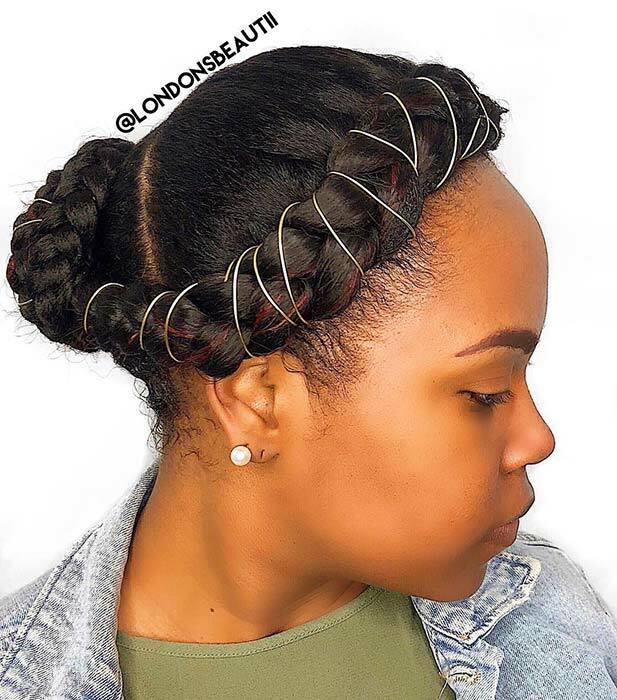 Halo braids are a beautiful style that has become a must-have. We love this style because it is so versatile. You can wear one of these braids on a casual day or glam the hairstyle up to suit special occasions like weddings! 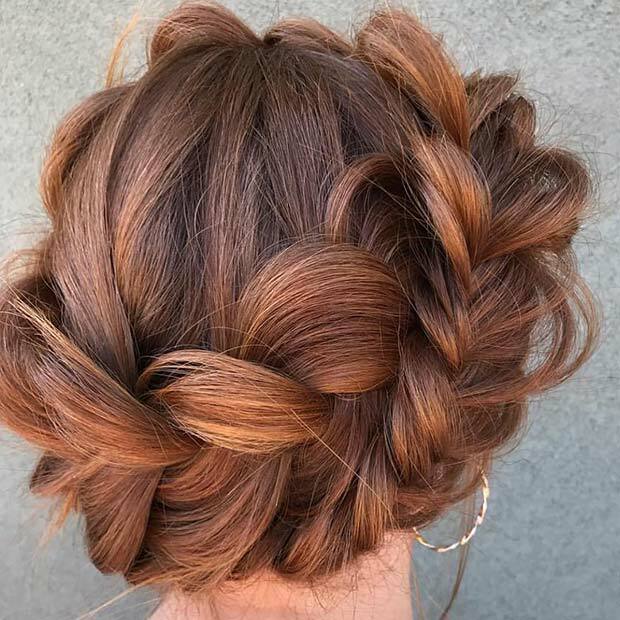 To give you some hair inspiration, we have found 21 of the prettiest halo braid styles. You will find vibrant hairstyles, accessorized braids and much more. There is a braid to suit everyone! The first idea we have to show you is this beautiful and unique halo braid hairstyle. For this look the hair is styled into a chunky braid with a braided design in the center. 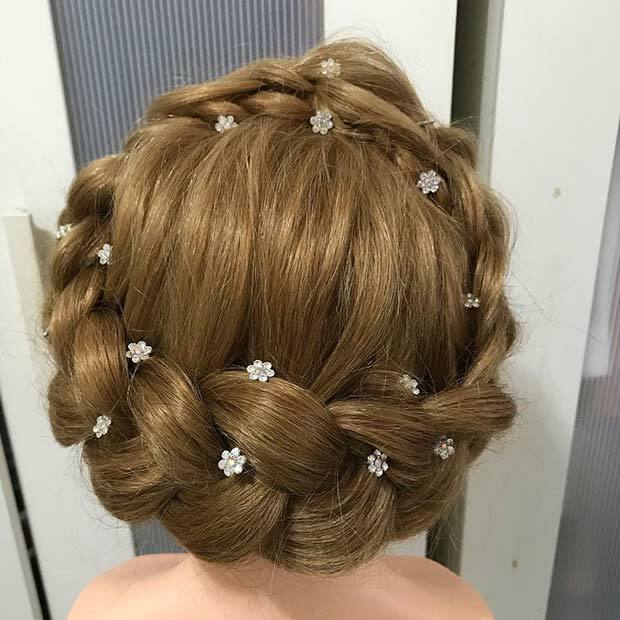 The braids have been described as a flower design and create a stunning finished hairstyle. 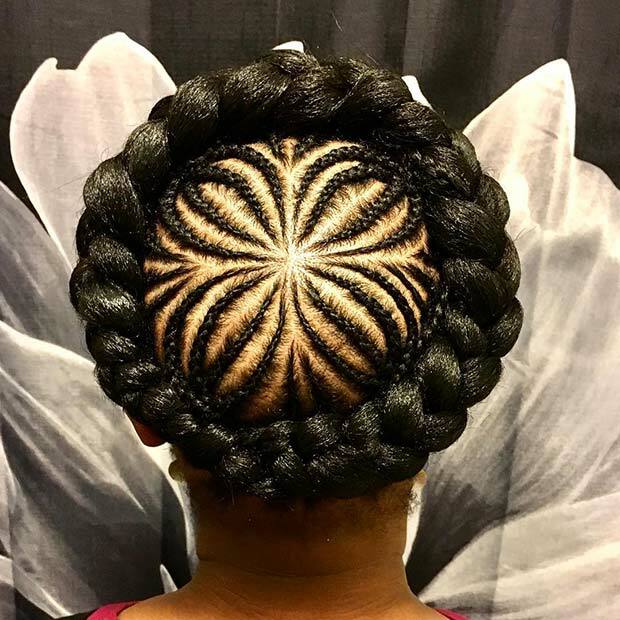 You can recreate this look or try any braided pattern. Next, we have an elegant halo braid. The hair is beautifully braided all the way around the head. It is a neat and stylish hair idea that would look amazing for any occasion. An updo like this one would be a great choice for bridesmaids or for other special events like the prom, too. 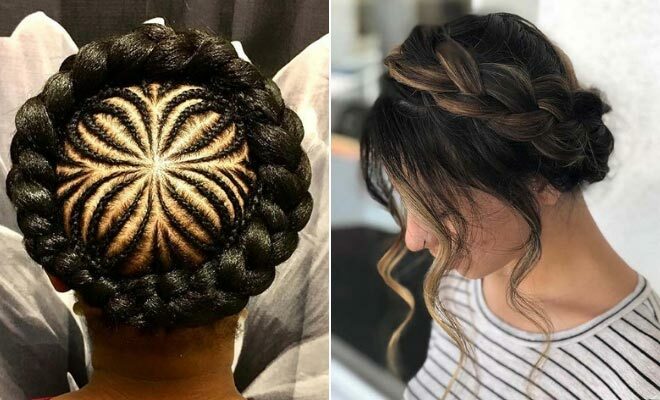 When creating a halo braid, you can add more than one braid. Just check out this hairstyle. 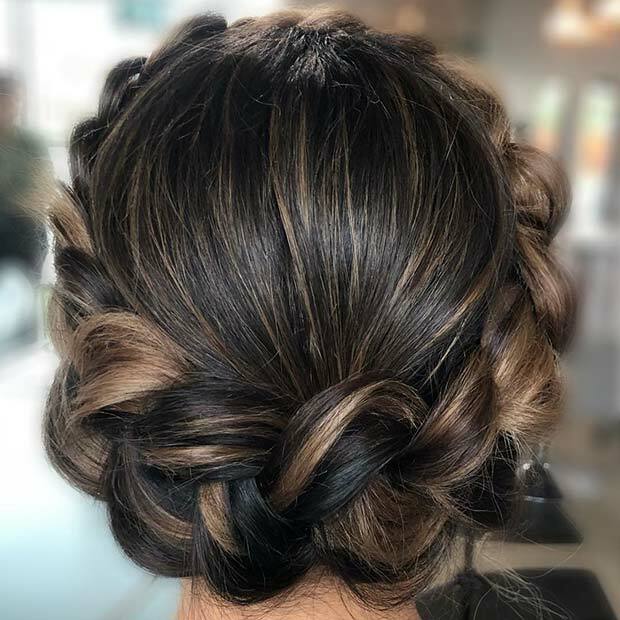 The hair has been braided twice to create a double braid look and the hair is in a cute updo at the back. You can check out a tutorial and the hair used on the page featured below. You can glam up your braids with accessories. Here is a gorgeous example. The hair has been braided and small flowers have been added to the hair. A halo braid like this would be an amazing choice for a wedding or for a special event. It is not just flowers that you can add, maybe try pearls or gems. Our next idea is a chunky halo braid. It is a statement making and stylish look that will suit everyone! You can wear a hairstyle like this for any occasion, it is timeless and will always look fabulous. 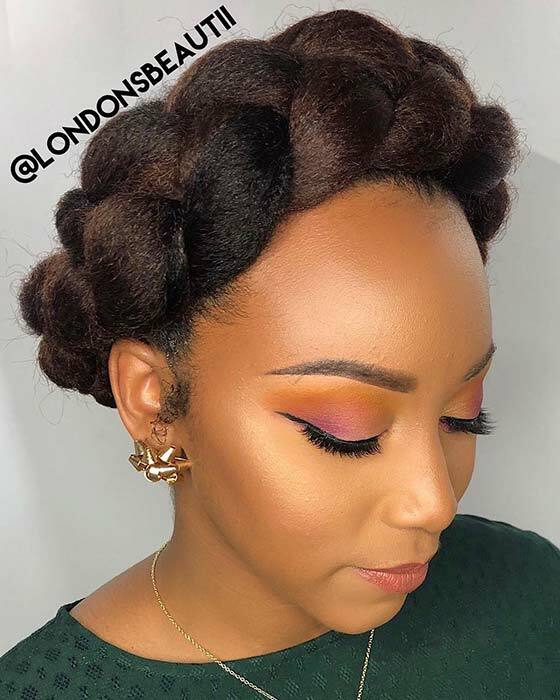 Check out a tutorial of how to create this braid on London’s Beautii YouTube channel. The stylist used kanekalon X-Pression hair in color #33. 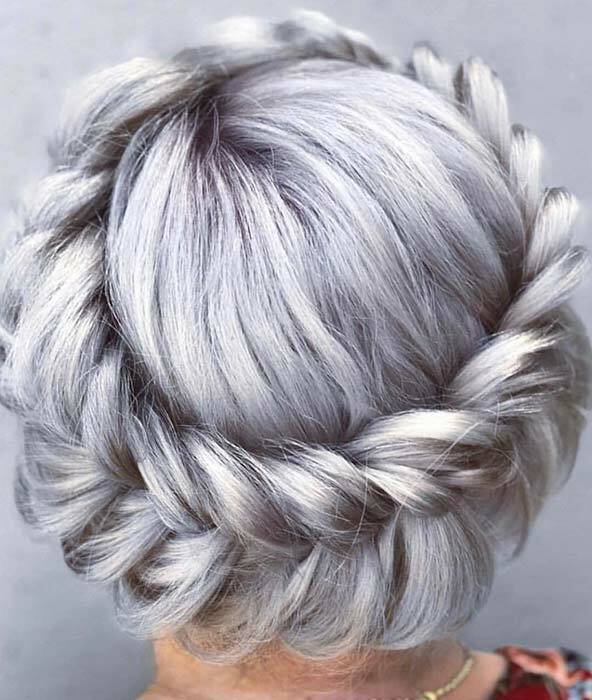 This next braided look features a trendy icy hair color. The braid has the classic halo look but has a modern and stylish twist due to the statement making shade. You can jazz up any hair with a halo braid but we love this look! A hairstyle like this is perfect for anyone who is searching for a bold, new hair idea! Next, we have another double braid look. This is a beautiful, simple and stylish hair idea that will suit everyone. 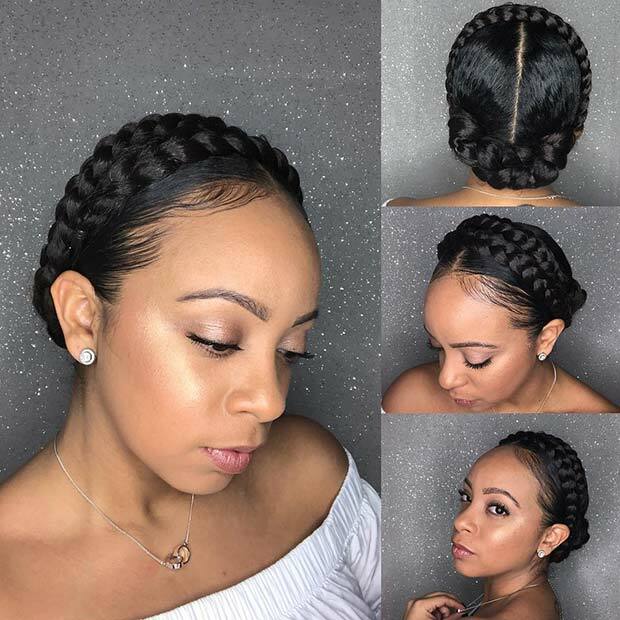 It is a versatile version of halo braids as you can wear this hairstyle anywhere from the office to a special occasion. Braids like these would look amazing accessorized too! 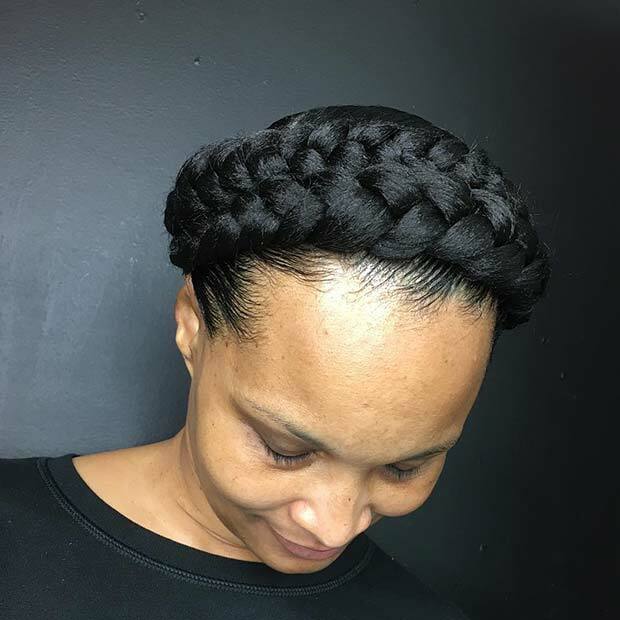 Another way that you can make your braids unique is by using different braid styles. Here is a gorgeous example. One braid is large, loose and uses the classic three strand and the other braid has a fishtail look. This is a beautiful and unusual style that would be great for the days where you want to look glam. It would be perfect for bridesmaids or prom, too. Our next hair idea is a beautiful example of both a halo braid and an amazing hair color. This chunky braid is stunning and features a variety of vibrant shades. 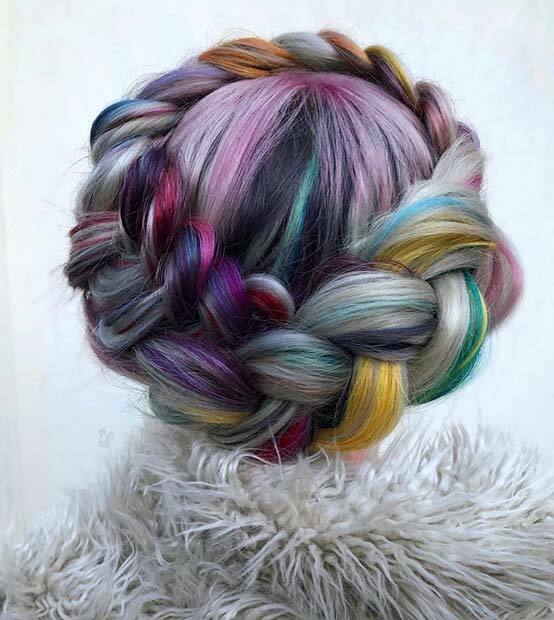 You can try just the braid but why not choose the amazing color, too? Hair like this will wow and make you stand out from the crowd! This look is perfect for the trendsetting ladies who would like a hair transformation. Next, we have another halo braid that features a gorgeous updo at the back. The hair has a chunky braid at the front and is accessorized with a stylish cord. At the back, there is a gorgeous braided updo that creates a beautiful bun look. This braided hairstyle would be amazing for a glam occasion.